We do things differently at Goldsmiths. When creating a custom piece for our customers, it’s all about our process of how we make your dreams come to reality. It starts with the consultation. We need to learn about what you are looking for. This is the time when ideas are brought to the table. If you have an idea or an example of something that you like, we encourage you to bring it to the discussion. The end result of this meeting is a clear understanding of what you are looking for. The next step is to produce a computer rendered example of what we plan on making for you. Goldsmiths goes beyond paper sketches, we use computer rendered 3-D modelling to show you an exact rendition of what we have in mind. We will show you our 3-D model so that we can discuss the angles, stones, and shapes to make sure everything is 100% what you are looking for. If changes need to be made, we will make the changes and show you another rendering. You can see your design from all angles and make as many changes as you like to make sure it is your perfect piece. From there, a mold is printed on a wax printer. All the work is done in house, from start to finish by our highly trained professionals. We are not here to sell you an item, we are here to give you exactly what you want. 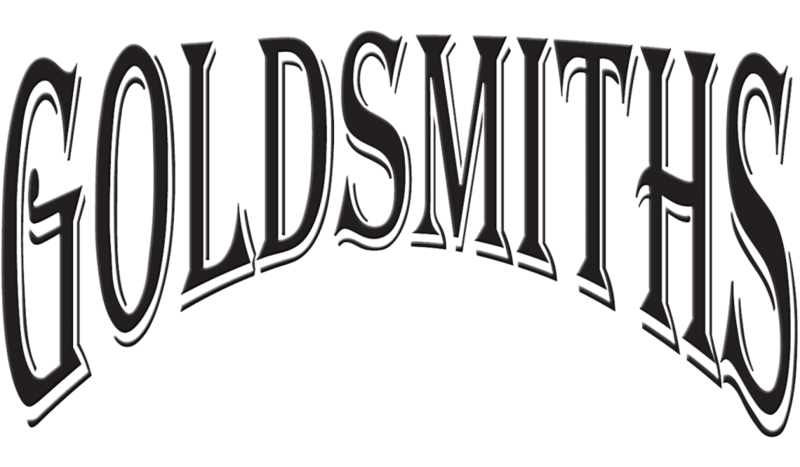 Contact Goldsmiths today to schedule a free consultation. We would love to hear your ideas and would welcome the opportunity. 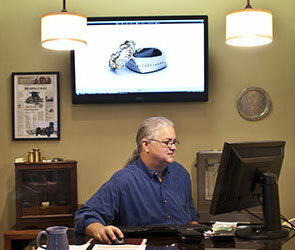 Goldsmiths uses 3-D computer modeling software to show you exactly what your custom design will look like before it’s produced.